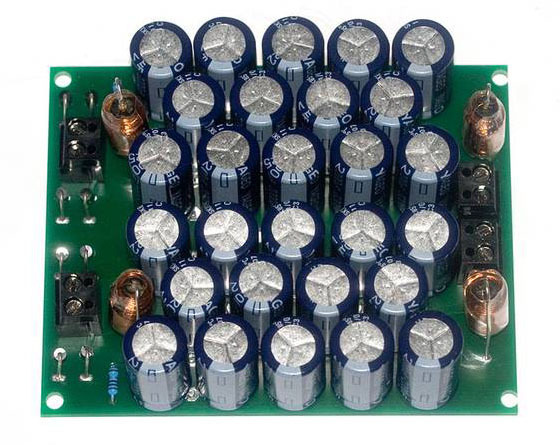 Lots of capacitors in a CLCLC configuration + a shunt voltage regulator: a high-end power supply for preamplifiers, phono stages and other HiFi equipment. The shunt regulator can run with a quiescent current of up to 500mA. With the onboard heat sinks, that you can see on the picture, the regulator ran well with 250mA quiescent current and no external load. In this configuration, the power consumption of the circuits is the highest, because the regulator has to “burn” the full quiescent current. 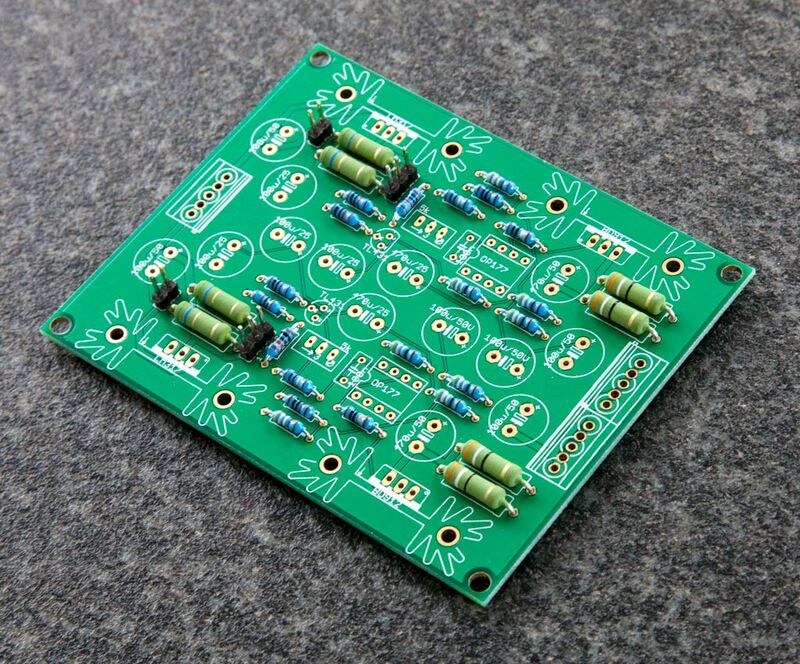 Both PCBs are available in our shop: UniSieb, Shunt regulator or as set of both PCBs. This entry was posted in Finished and tagged diy, electronics, pcb, power supply, voltage regulator on June 1, 2013 by Daniel. As the name suggest, SimplePower is a simple power supply for audio devices. 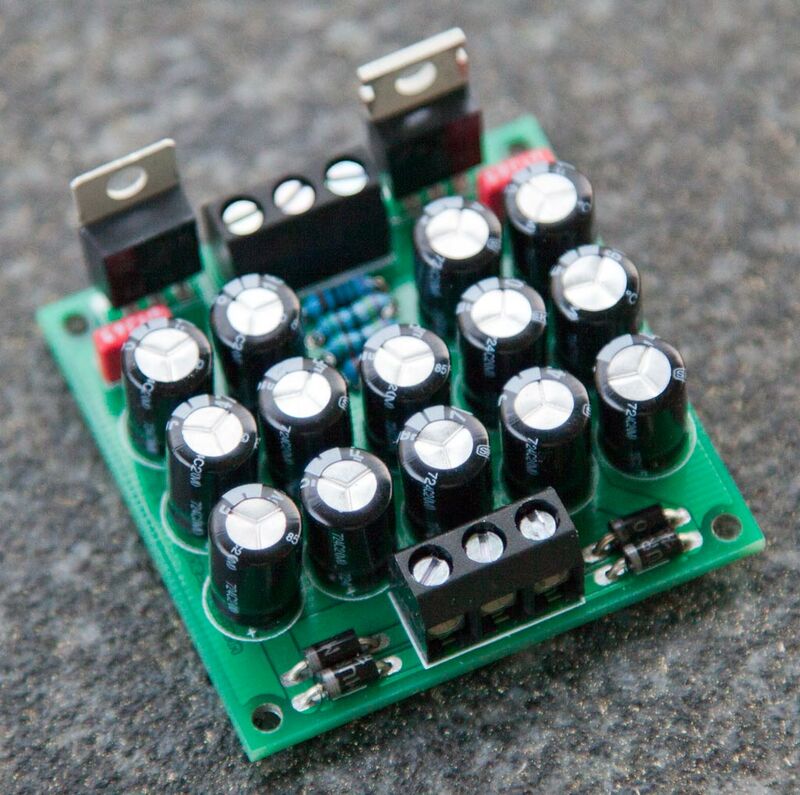 It uses a pair of LM317/LM337 to provide a stable output voltage. Add a transformer and you get a symmetrical power supply. This power supply will be used for our QuadVol project. This entry was posted in Finished, Projects and tagged diy, pcb, power supply, voltage regulator on May 8, 2013 by Daniel. I’m working on a new version of the K+T shunt regulator. The old PCB was very similar to the original K+T design. 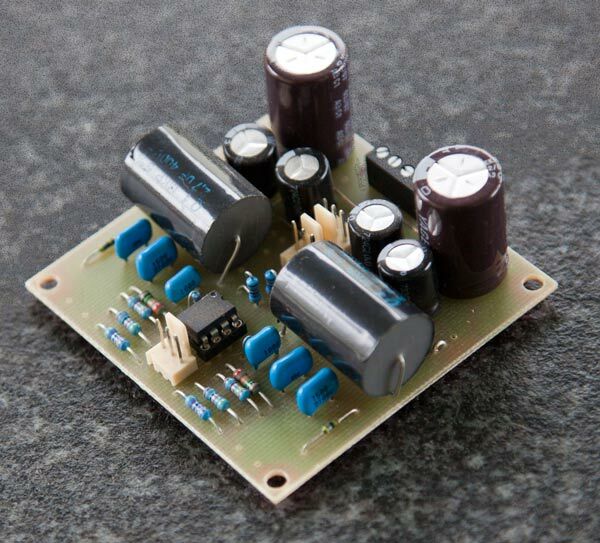 The new version will be bigger, but completely integrated for a symmetrical power supply. This entry was posted in Projects and tagged diy, electronics, pcb, power supply, voltage regulator on March 27, 2013 by Daniel. The Shunt regulator PCB from Klang + Ton is now available on circuits.io. You can order PCBs there or fork the design and use it in your own designs. 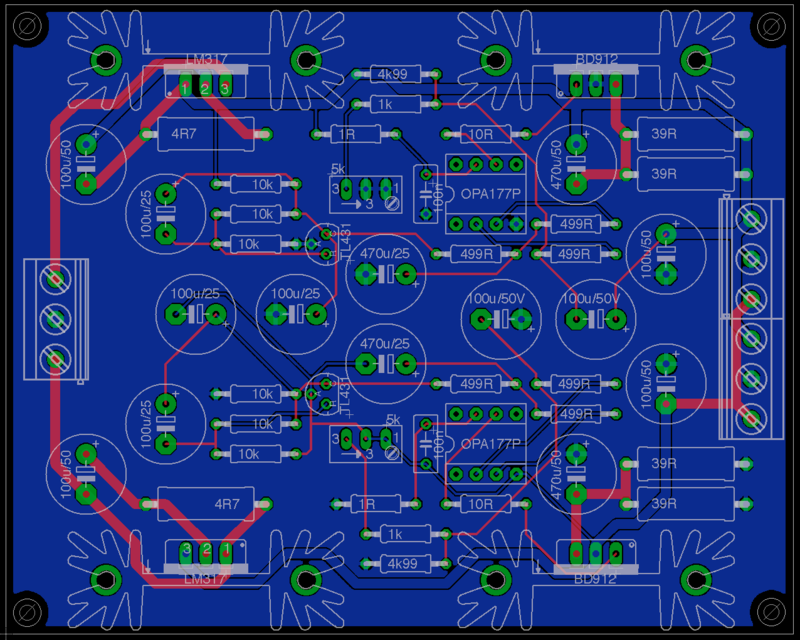 This entry was posted in Finished and tagged circuits.io, diy, opensource, pcb, power supply, voltage regulator on February 24, 2013 by Daniel.